PENTICTON, British Columbia — Wild Goose Vineyards in Okanagan Falls received two best of class awards — including one for Riesling — at the 2015 British Columbia Best of Varietal Wine Awards. The Okanagan Wine Festivals Society announced the results Thursday as part of the kickoff to the 21st Spring Okanagan Wine Festival. Wild Goose and second-generation winemaker Hagen Kruger received Best Riesling for the 2013 Stoney Slope Riesling as well as Best Gewürztraminer for the 2014 Mystic River Gewürztraminer. Both are estate sites for the Kruger family’s winery in the Okanagan Valley. Earlier this year, the 2013 Stoney Slope Riesling also merited a gold medal at the 2015 Great Northwest Wine Competition. Sandhill Wines received top honors in four categories with the 2012 Vanessa Vineyard Merlot, 2012 Small Lots Phantom Creek Vineyard Malbec, 2012 Small Lots Sandhill Estate Vineyard Sangiovese and 2014 Osprey Ridge Vineyard Viognier. Other wineries to lead multiple categories included Harper’s Trail, Inniskillin Okanagan, Moon Curser Vineyards and St. Hubertus & Oak Bay Estate Winery. Last month, Moon Curser, in the Southern Okanagan Valley lake resort town of Osoyoos, won four gold medals at the 30th annual Pacific Rim International Wine Competition in San Bernardino, Calif. Three of those gold medals were for wines involving Syrah. A panel of 15 judges, all from Western Canada, rated a record of 479 entries in 27 categories. The competition, which reported a growth of 30 percent in terms of entries, was staged April 23 at the Penticton Ramada. The Okanagan Wine Festivals Society is responsible for the development of wine tourism in the interior of British Columbia. 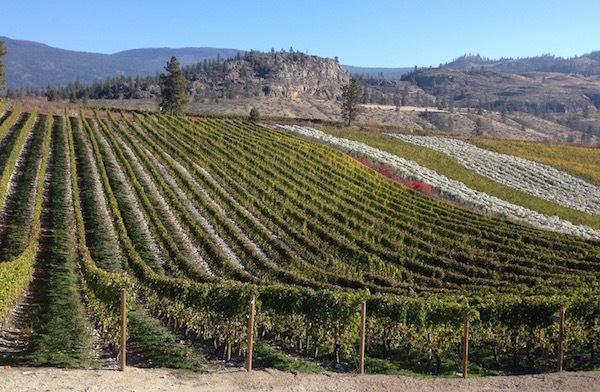 It also produces the British Columbia Wine Awards, which kicks off the annual, 10-day Okanagan Fall Wine Festival. Both OWFS competitions are facilitated by Naramata Bench vineyard owner Marjorie King. The annual Winter Okanagan Wine Festival is run in partnership with Sun Peaks Resort near Kamloops.